As your Pastor, I want to encourage each of you to reach for the sky! Academic perserverance is the monumental step towards achieving your goals and dreams. Now, you are closer to realizing success in ways that you would have never imagined. Thank God for the many people paving the way for you to be at this place in life. There comes a time in our lives when we must pursue our purpose. Education moves us and grows us to that direction. It is vital in this world to have an education to sustain our quality of life and prepare a stable environment for our future. It shows a sign of achievement not only in scholarships, but also in the areas of leadership, service, and character. As stated in Proverbs 16:4 - "Always commit your actions to the Lord and your plans will succeed. I want each of you to know, I am very proud of your accomplishments, and wish you the very best. Rev. 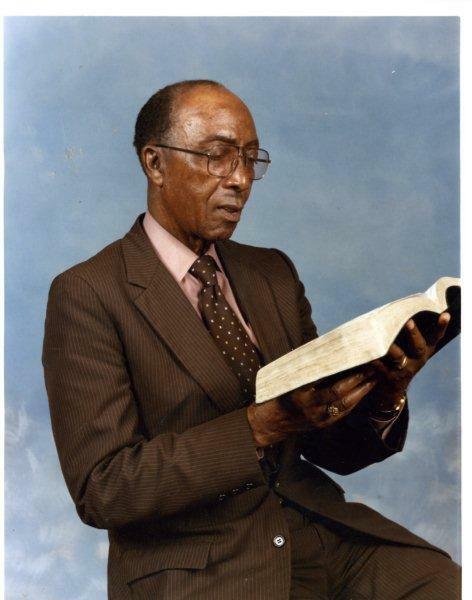 E. M. Franklin, Sr. was the fifth pastor of St. James Missionary Baptist Church. His dedication to Kingdom Building motivated him in 1968 to relocate to 1812 Redwood Avenue when an influx of young people began attending. His passion for youth, however, began at home with his seven children, whom he loved dearly and supported their educational endeavors. He encouraged all young people to further their education and to use their gifts to the glory of God. He, himself, also sought to empower his own ministry of the Word by studying and receiving a Bachelor of Theology degree from the Institutional Baptist Theological Center in Houston, Texas and at Samuel Huston College in Austin. In 1986 with the ministry continuing to flourish, a new edifice was erected next door to the first building and was named Franklin Chapel in his honor. Rev. Franklin departed this life on December 20, 1992. To keep his legacy alive, shortly after his death, the street was renamed from Redwood Avenue to E.M. Franklin Avenue. In December 1993, St. James Baptist Church established a scholarship program in honor and memory of the late Rev. E. M. Franklin. 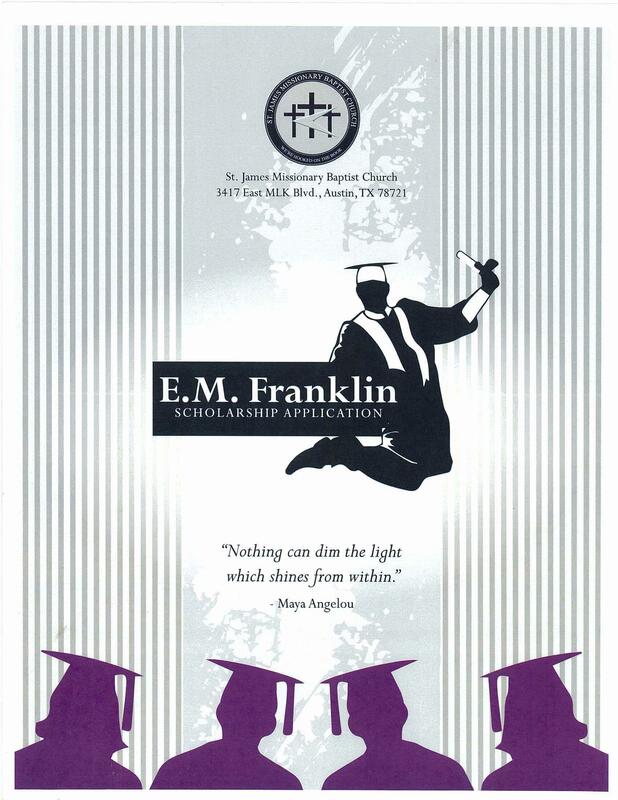 The E. M. Franklin Scholarship Program was developed and perfected by the late Sister Delores Thomas, who ensured that each senior had an opportunity to excel academically. The vision of this dedicated worker stills lives on. She passed away in 2009. This program awards scholarships to qualifying high school students who are members of St. James Baptist Church. These scholarships awarded are for the intent of encouraging students at St. James to further their education. A maximum of seven (7) scholarships will be awarded each year. 8) A personal statement, in an essay format, indicating your response to the following question: In what ways do you plan to engage in Christian commitment, academic excellence, and leadership/service as you complete your academic endeavors? The awarding of any scholarships of St. James is contingent upon the student fulfilling all of the above requirements in addition to completing the Distribution Agreement Form prior to the award disbursement. I certify that the information on my scholarship application is correct.